Marigold flowers from July to September. The scented flowers are hermaphrodite (have both male and female organs). It is hardy to zone 6 and is frost tender. The lower leaves are broad and spatula-shaped. Upper leaves may be oblong, are smooth at the edges, and are arranged alternately along the stem. Seeds are crescent to horseshoe-shaped with the rough exterior. Its branching stem grows to the height of 30- 60 cm. Online flower shop, flower delivery, flowers online, florist, flower arrangements, flower shop, buy flowers online, florist near me, flower store. 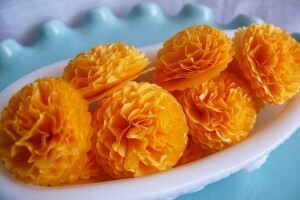 Marigold flower plant is propagated by the seeds. They are shown during the early spring. 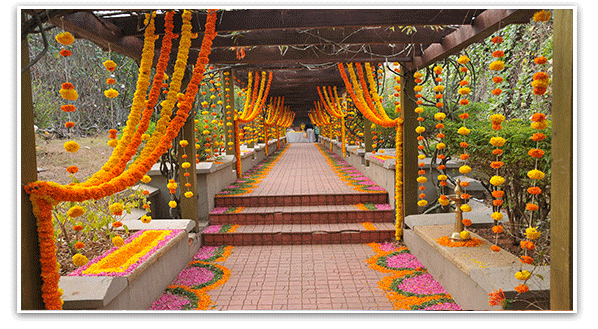 Marigold flowers do not need cultivation but the soil should be free from the weeds. The seeds should be shown 2cm apart. Seeds should be planted in the sunny locations. Fertilizers should be added from time to time. They require damp to the wet soil for the growth. The seeds are germinated in two to three weeks. It needs full sunlight for its growth. Varieties Local types (orange & yellow), Pusa Narangi Gainda, Pusa Basanthi Gainda (IARI varieties) and MDU 1 can be cultivated. On account of the anti-inflammatory properties of marigold, it is also used in the treatment of allergic reactions, eczema and bruising. Health benefits of marigold oil also include it being used in the treatment of plantar lesions that tend to occur on the feet. 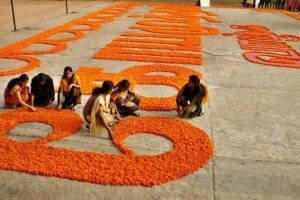 Marigolds are also known to have plenty of health benefits on account of their high content of antioxidants. These antioxidants are known to be effective in combating the damage that may b caused by free radicals which are typically the by-products of environmental factors such as pollution or cigarette smoke or even normal body functions. The lycopene present in marigold is also known to lower the risk of heart disease and prostate cancer. 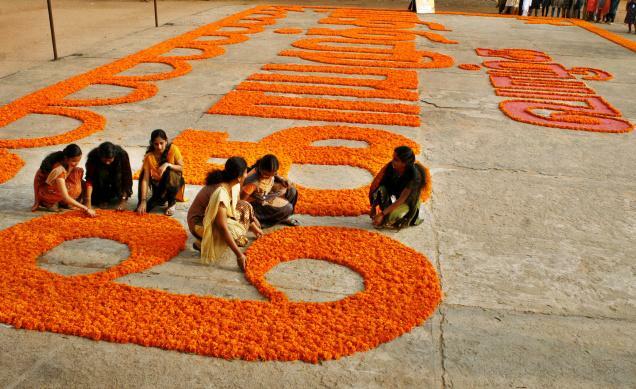 The antioxidants present in marigolds are also known to protect the eyes from macular degeneration and cataracts. 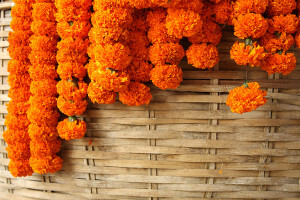 Health benefits and therapeutic uses of marigold flowers as well as the leaves of the marigold include it being beneficial in minimizing the number of tumors in the case of breast cancer as well as in the prevention of the development of new cancer cells. 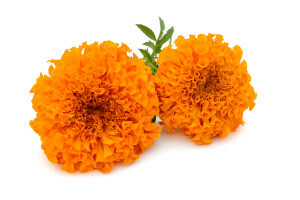 Besides breast cancer, Marigolds are also known to be effective against colon, leukemia, and melanoma cancer cells. When consumed internally, marigolds are also known to help against digestive inflammation in the form of duodenal or gastric ulcers on account of its anti-inflammatory properties. 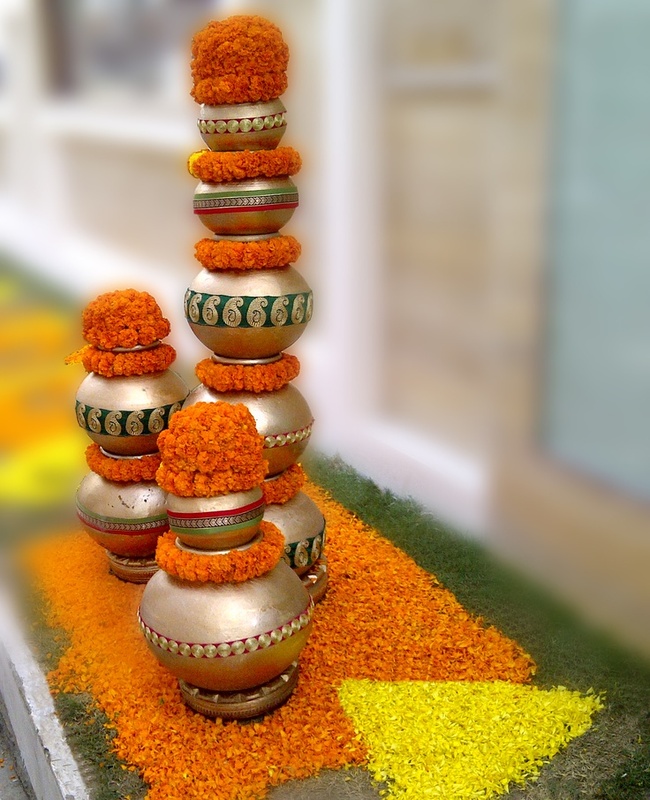 Marigold flower is also used in the form of an ointment for women who are suffering from breast cancer to minimize dermatitis that is usually caused by chemotherapy. 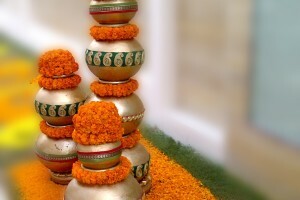 The petals of the marigold flower are also used in sitz baths as they are effective in healing vaginal infections, bladder infections, healing of stitches post childbirth as well as hemorrhoids. To prepare a sitz bath the petals of the marigold flowers should be boiled for some time and then added to the warm bath water. I mentioned a while back that I was determined to get the most out of my marigolds–a huge mound of them occupying space I coveted for cold weather goodies like cabbage and broccoli. 1. Marigold Insect Spray for leaf-cutters–I heard from my best friend in Pennsylvania that she has used a commercial version as a fly spray for horses, too. 2. Marigold Pound Cake–I stirred the petals and a few chopped leaves into a cake batter. More of a novelty than a flavoring, but sort of fun. 3. Salad–I add several sprigs of the leaves and the flower petals from a couple of blooms to liven up mixed green salads. Delicious. 4. Marigold Tea–Ivory covered this one way back when. I’m drying some of the flowers to save for the dark days of winter. Sunshine in a cup! 5. Deep-Fried Marigolds–Oh yeah I DID! I made a loose batter of flour, water, salt, and pepper, dipped and fried those puppies up! Yum! 6. Baked in a Pie–I’m tossing petals into savory pies (spinach, zucchini). A dainty dish to set before anybody. 7. 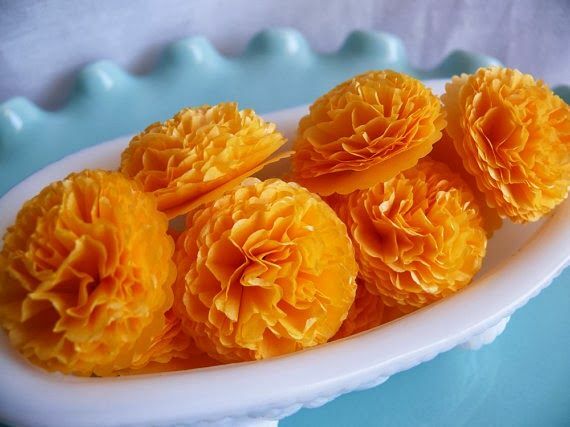 Chicken Snack–I read that feeding a moderate amount of flowers and leaves of marigold to your hens makes their egg yolks an even brighter, deeper orange. And they love it. 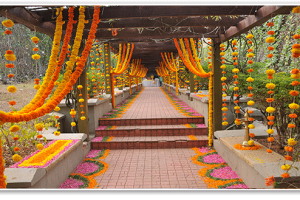 Bright yellow and orange Marigold flowers are used to make garlands. 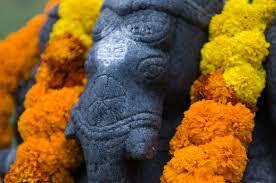 They are even used to decorate the religious places. The leaves of its flowers are used as salads. The yellow dye has also been extracted from the flower, by boiling. The burning herb repels insects and flies. 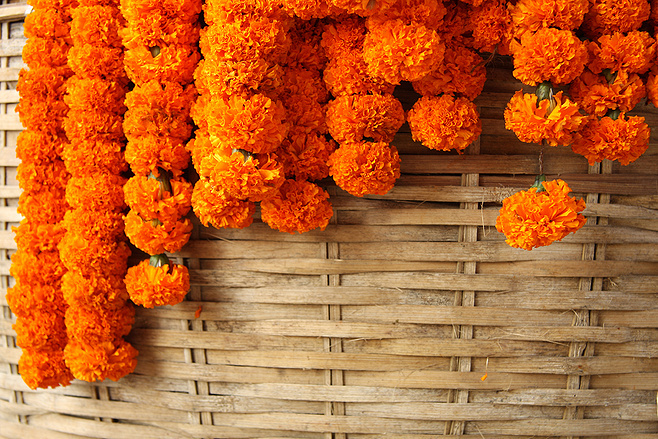 Pigments in the Marigold are sometimes extracted and used as the food coloring for humans and livestock.